Share purchase is closed. Eternal gratitude for having made Real Murcia yours. We are already processing the mountain of documents to be able to go to the Registry, and get your official Real Murcia's shareholder certificates. 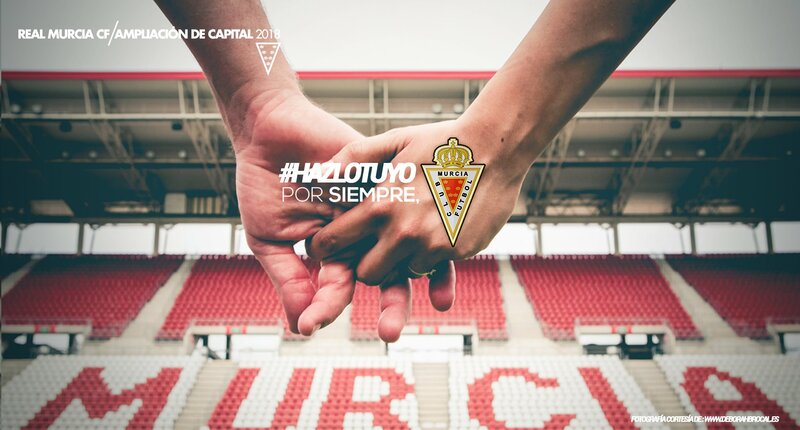 Keep an eye on the news in your email and at www.realmurcia.es and @realmurciacfsad. In the new email incidencias.ampliacion@realmurcia.es we take care of any urgent matter you might have. The answering time in this account is less than 24h. You can also, of course, call the Club by phone (0034) 968 242 812 y (0034) 968 900 110.